Our Agent Insights series - which features guest blog content from real estate professionals, has been a smashing success. And that got me thinking... if agent advice is extremely valuable, what else would be valuable? Insights from buyers & sellers of course! 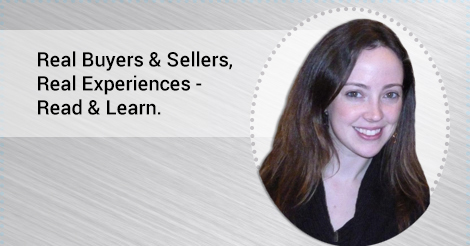 So we're introducing our newest blog series - Buyer & Seller Insights. This series will feature the people who are most important to keeping your business running - your clients. We'll be taking an up-close and personal look at the real life experiences of home buyers and sellers. Each post will provide information about the buyer or seller, insights on what drove their decisions, their candid agent feedback and a detailed look at what was successful and what could have been done differently to improve their experience. The first installment will published this Wednesday (read here!) and will feature Meg, a young professional and first-time homebuyer in Southern California. You are not going to want to miss this!